Lingro, founded in 2005 by Arthur Jank, is a popular collection of translation dictionaries for the web. The dictionary enables you to browse your favorite sites normally, and displays a popup translation dictionary when you click on a word. The Lingro site enables users to browse, edit and share definitions and translations across many languages. The service currently supports about a dozen languages, and several times as many language pairs. 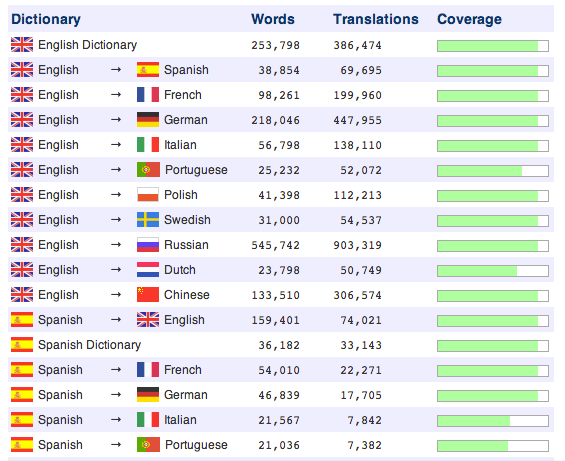 English <–> other languages are well covered, as is Spanish <–> other languages. 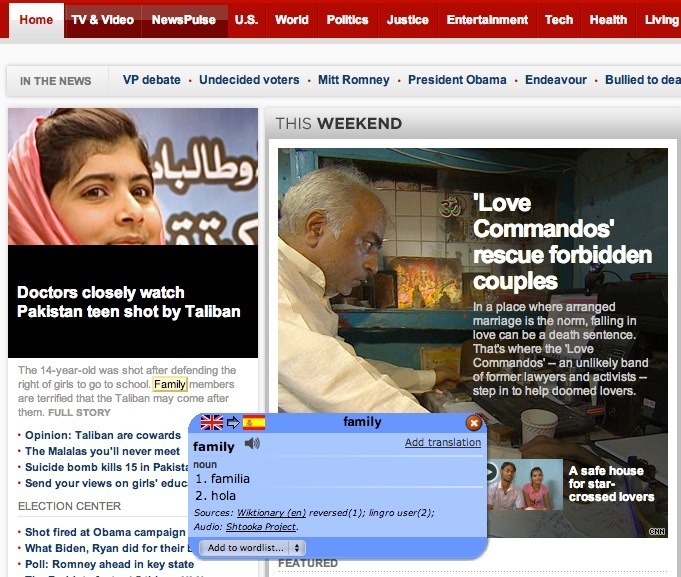 Users can collaborate to contribute to and edit translation dictionaries to and from many languages. Progress dashboard shown above. The service is quite simple in how it works. You simply browse a site by first going to Lingro and entering the URL, then whenever you need help with a word, you click on it to trigger a popup with possible translations. The service is a great fit for people who have basic proficiency in a new language, but need help with vocabulary. This tool, when used to read content the person is already interested in, is a fun and effective way to learn and memorize vocabulary without having to juggle a separate dictionary or computer program. This entry was posted in language learning, website translation and tagged dictionary, memorization, memorize, translation, vocabulary. Bookmark the permalink.